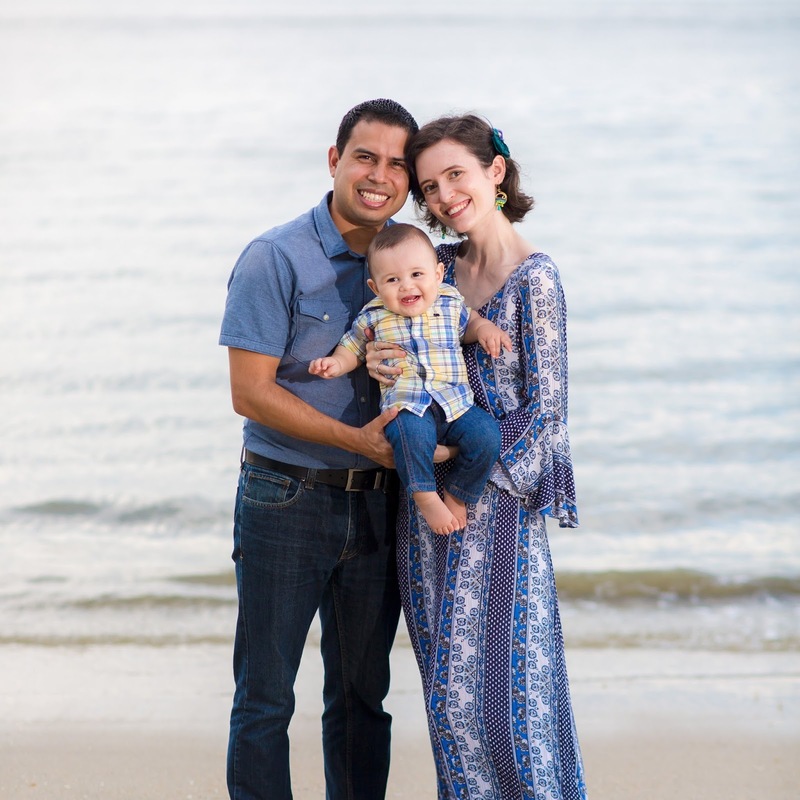 While in Michigan, we planned to visit our cousin Shannon--who used to live in Malaysia and has gone on a number of adventures throughout SE Asia with us, like when we got to visit the coolest deserted island ever. She's in college now and we planned a day to visit her and explore a bit of the city she lives in. We wanted to do some sightseeing and she recommended the USS LST-393. 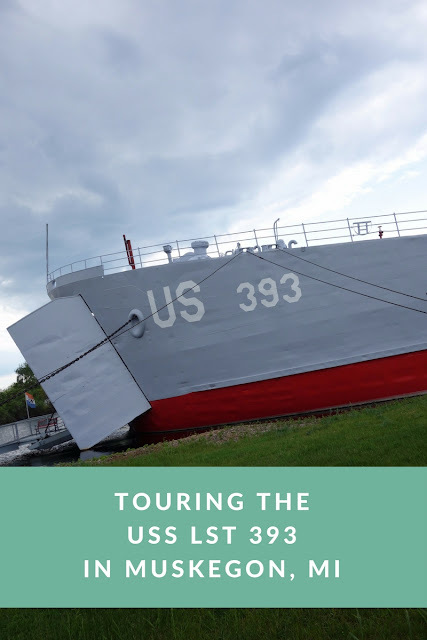 We didn't know much at all about what the LST 393 was before going, all I knew was that it was a ship and I never say no to a ship, but if anything, this piece of American history highly exceeded our expectations. I strongly recommend taking a few hours to visit this ship and learn more about its role during the War. We arrived at the ship and were welcomed in by a veteran who was staffing the front desk. The first thing he said when we all walked in was, "You all must be students, right?" and 3 of the girls were, but Angel and I insisted repeatedly that we weren't students. When he said, "Are you sure, you don't go to school at all?" I answered, "Actually, we're the opposite of students--we're teachers." And then he still insisted on giving us the student price because he said he knows teachers don't get paid what they ought. He was so sweet, and after giving us all discounted admission, he explained to us what type of ship the LST 393 was, how many boats were built in this model, what their roles were in the war, and how many still exist in the present time. More than 1,000 LSTs or Landing Ship Tanks were built to be used during WWII. Their flat-bottomed design allowed them to sail right up to shore and deliver armored vehicles or troops that could roll or walk right off the ship onto the beach. The LST 393 was only restored and opened for public touring a few years ago, and now the main chamber in the center of the ship contains a great deal of wartime artifacts and informational exhibits about various aspects of the War. Then you could take ladders up and down to explore all the various parts of the ship. This was really our favorite part--it made the ship touring experience particularly amazing as we were allowed to go inside the engine room, and to visit the galley, and the quarters for everyone from the captain to officers to those who slept in rows of cots slung one above the other. I got really excited when I found out we could go and "steer" the ship. The ship is so large that Anna, Lizzy, and I lost Angel and Shannon for about a half hour since they decided to go explore the engine room while we were exploring the top deck. We stayed on the ship right up until closing time at 5 o'clock--don't underestimate the amount of time you might want to spend here! We arrived at 3 and thought 2 hours would be plenty, but we could have easily stayed longer if we wanted to read more of the information. There's something very thought provoking about walking the decks of a ship that served in a war that so shaped the history of our world--to think about the men who lived and worked on that ship and where they went and how their lives were different after the war. I highly recommend touring this ship to anyone who's in the area, it's well-worth the ticket price, even if you're not a student. Granted, I am the sort of person who's simply prone to really love any sort of educational experience or historical location, but this is exactly the sort of place you ought to visit and take your kids. Do you enjoy learning about history? What is the coolest historical site you've ever visited? Yay for getting the student discount as teachers! :) And your note at the end makes your outfits make a lot more sense, haha! Looks like such a cool experience to explore this ship! This would honestly make my inner historian heart so happy to visit. Give me any historical site and I'll be happy! Total history nerd. My favourite was probably Angkor Wat. So, that ship looks like such an interesting place to tour and very educational, but those bunks are freaking me out! Imagine trying to sleep stacked on top of your colleagues. While the whole place is rocking about! I was definitely not made for the military. Especially as I didn't even clock your fancy outfits, to me looked totally normal...! We visited Baltimore last year and they had a bunch of ships that we toured and I loved it so much! This looks so cool!